I use a wide variety of products, but I have an everyday look that involves some must haves. I put a few of my favorite must haves in the picture above. I’m a huge Sephora fan and that is where I get a majority of my makeup. I have included the descriptions and links to where you can purchase any of the items. Since makeup is one of my fetishes I’m always looking for new suggestions and products. 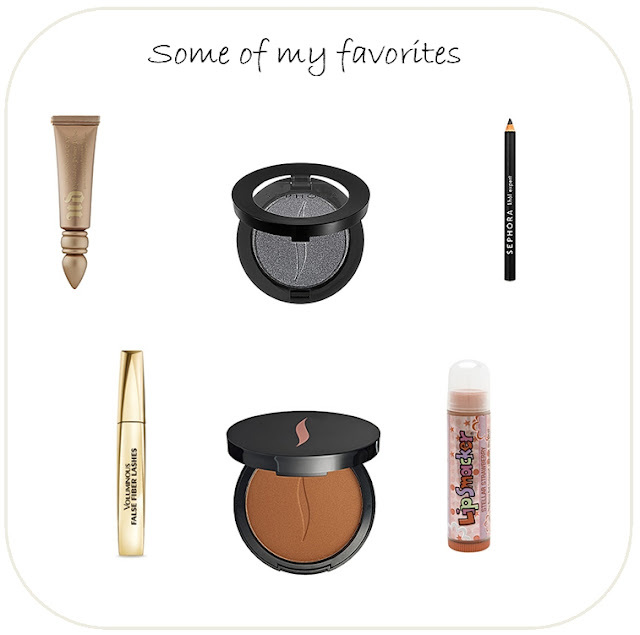 What are some of your must haves or favorites? I need mascara so I am totally going to give your favorite a try! I love Sephora too :) My favorites are NARS Blush and Makeup Forever HD Foundation! I love bare essentials and smashbox. I have an eye shadow palette I got from avon a long time ago and it's my fav. Next on my list to try is Tarte Cosmetics.